Self-care is not a new activity. People have necessarily managed their own health since the beginning of mankind. Throughout human history the dominant paradigm of healthcare was individual self‐care in the family and local community. Treatment involved self‐medication with locally‐produced preparations of generally uncertain efficacy. People themselves were responsible for their own health, and that of their families, as self‐sufficiency was obligatory and almost universal. The opportunity and need for improvement were great. Starting in the 19th Century and carrying on through the 20th Century, health care was revolutionized by scientific and medical discoveries, technological advances in diagnostics, surgery and medicines, and the development of the healthcare professions. Patients gratefully placed themselves into the hands of doctors and took the effective newly‐developed medicines they prescribed. The role model of the patient as a largely passive recipient of public services was complemented by the mystique of the expert healing physician. At the low point of self‐care – around the 1960’s in the West – self‐care and self‐medication were regarded as unnecessary and potentially even unhealthy practices. This paternalistic approach to medicine, supported by health systems designed to treat sickness (rather than to prevent disease) remains a familiar aspect of healthcare in many countries to this day. Circumstances and societies are ever‐changing, however. The paternalistic approach to medicine is expensive when applied to entire populations, especially in ageing countries. People around the world are better educated and want more information, choice and control over their lives – not least in the area of health. Chronic ‘lifestyle’ conditions such as cardiovascular disease, cancer and diabetes are taking over from infectious diseases as the primary cause of death and disability in most countries. These chronic non‐communicable diseases are significant in that they are substantially preventable through better ‘self‐care’ – by individuals avoiding risks such as smoking and obesity. The paternalistic approach and health systems that provide ‘sickness services’ are becoming less well‐attuned to the 21st Century’s health challenges and needs. 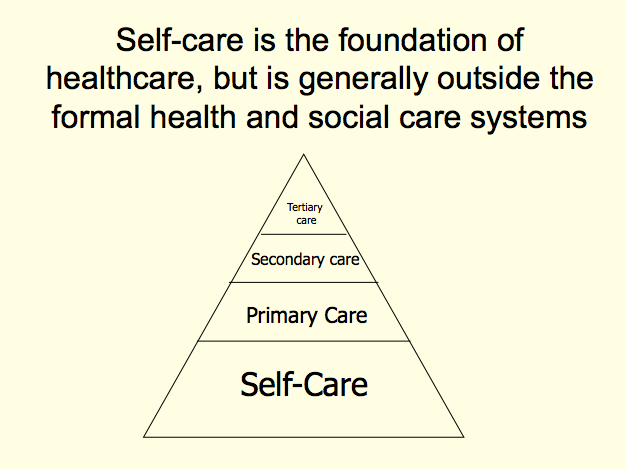 As a result, over the past 40 years there has been a push‐back against the paternalistic model of health, towards a more person‐centric approach involving self‐care. A patient’s needs and rights have become central considerations and run through many of today’s initiatives in health – in medical ethics, patient autonomy and ‘person or patient‐centred medicine’. Of course, along with patient’s rights comes responsibilities. There has been a growing realisation that personal self‐care in the home environment and community setting should be the starting point of healthcare, and is in fact the foundation for people to manage life‐long health. Initiatives in ‘community healthcare’ and ‘health promotion’ are aspects of the new approach.